Where cronyism becomes the creed only the craven can be celebrated. The annual brouhaha over the Padma awards therefore never ceases to startle me. Such honours are always conferred even where they are not actually deserved. The truly deserving seldom seek awards and, in the distorted scheme of things in which we live, thus become disentitled to receive them. After all it is not honour which is being bestowed but patronage! Acharya Kriplani had, in 1970, moved a non-official Bill for the abolition of these awards. According to the Bill the decorations were not always according to merit with the Government of the day not the best judge of the merit or eminence of the recipients and what was intended to be for a few exceptionally talented individuals was transformed into a torrent of conferrals. Quite predictably the Kriplani’s Bill was defeated. The Padmas had to be conferred by politicians on themselves (Indira Gandhi), their teachers (Rajiv Gandhi), their doctors (Vajpayee & Manmohan Singh) or on prospective political allies (MGR and now Sharad Pawar) or those who shout the loudest (Saina Nehwal). Bharat Ratna Tendulkar is busy endorsing products and teams on television while Dhyan Chand (a national icon but of a less favoured sport) lies obscure and anonymous in his grave. Dubious antecedents are no bar to the grant or holding of these awards – being shady or above-board has nothing to do with qualities intrinsic to the individual in question and is only a question of perception. And a favourable perception of those who have to confer awards is all that is required for entitlement! Interestingly, the Supreme Court of India while rejecting a petition against conferring of awards nevertheless observed that it is necessary to ensure that the “recipient are subjected to feelings of respect rather than suspicion” and that “the number of awards should not be so large as to dilute their value.” The Court “did not say more” because it had entrusted the job to a Committee of “high level functionaries” which was to keep in view the “anxieties” expressed by the Court. Judgments are not meant to be homilies which is the reason the Court’s exhortation has been treated with utter disdain and contempt. As the RTI activist Subhash Chandra Aggarwal said “when the Awards Committee choose about 100 names from thousands of nominations in just a few hours over two to three meetings, it seems likely that a pre-decided list is put before the committee for endorsement.” No ennobling exercise this, just a kick in the teeth of the deserving while giving short shrift to the “anxieties” which led the Court to constitute the Committee itself. 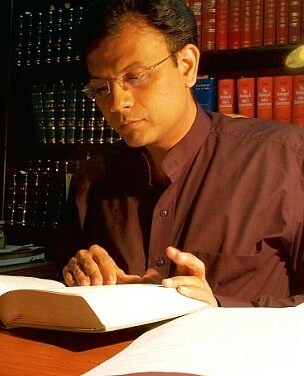 It is apparent from the manner in which the Padma awards have been granted that what was meant to be an honour has been reduced to a mere title which is specifically barred by Article 18 of the Constitution of India and the breach of the condition precedent for their retention as declared by the Supreme Court renders the very process of granting these honours void in law. Considering its process and its selectees I feel the Padma Awards should be re-named Padma’s Wards! Tanmay’s “roast” is neither satire nor comedy and fits more in the category of abuse. Satire, whether it be abrasive or mild, has a moral dimension and is intended to be corrective of ills perceived in society. Comedy carries humour and while it might mock it does not scorn a subject. Abusing anyone is impermissible. What is wrong with Tanmay’s “roast” is not its subject but its content. The reaction to the “roast” however has more to do with the subject rather than its content. It is an unfortunate tendency in our country to exalt individuals into divinities and this enshrining makes any comment about them sacrilegious. This cult of personality is but an inversion of Tanmay’s roast and is as bad. Unquestioning praise is as noxious as unadulterated abuse. And it carries as many anti-social tendencies as the former. Both are equally deficient in moral sense. There being no critical thinking in the condemnation much in the same manner their is no humour in the roast. It is indeed a poor reflection on society which is unfamiliar both with warranted comments and justifiable criticism. The SKILL INDIA advertisement featuring Sachin Tendulkar credits skill at the expense of dignity. One sees Sachin sit on a chair while the carpenter sits on the floor as they talk and have tea. Why could both not be shown sitting on a chair and talking? Apart from skill, personhood carries value too. Why hold anyone down whether skilled or not? A patronising attitude carries an arrogance of superiority which shifts attention to the symbolic generosity of a patron from the worth of the patronised and re-enforces the very inequality which it pretends to redress. And if an ascribed status will continue despite achievement, as the advertisement suggests, what merit will inculcation of skill attain? The advertisement presents status as an entrenched power and fails to present skill as being versatile. Skill is meant to be assertive and itinerant unlike status which is inhibitive and immobile. The advertisement focusses on the status of the carpenter not his skill. Skill is dynamic unlike status which is sterile and moribund. Yet it is precisely that which the last shot of the advertisement displays. Skill has to be achieved but any effort in this direction will be futile unless there is a corresponding correction in attitude. It is the right attitude (Tendulkar making the other sit on the chair) alone which can facilitate social mobility (symbolised in the carpenter also so sitting) to improve our cultural capital (recognition of the innate worth of a human being aside from skill trumping status) and unravel the social stratification which the advertisement puts on display.